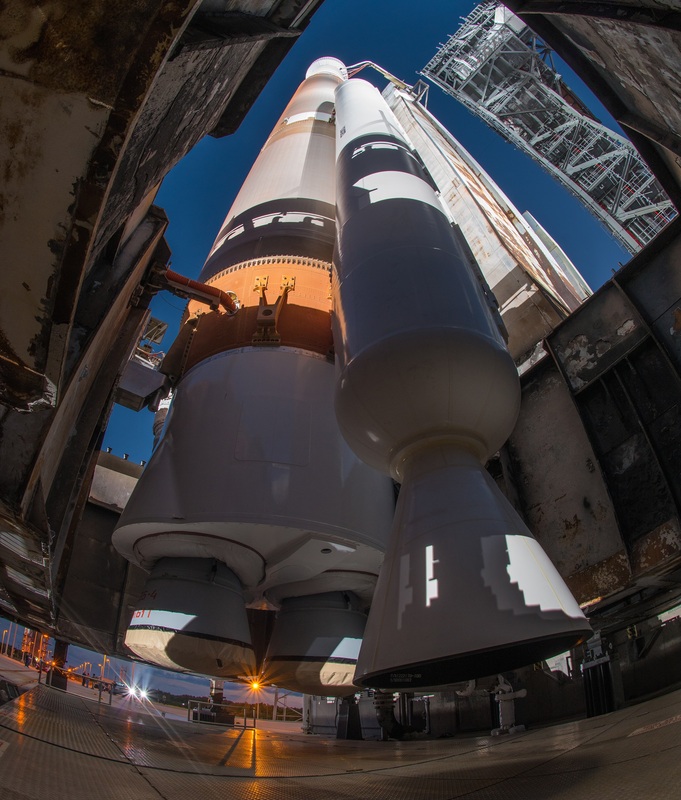 LAUNCH ALERT: Saturday, April 14, 2018 at 19:13 EDT (23:13 UTC) a United Launch Alliance (ULA), Atlas V-551 rocket designated (AV-079) will lift off from Space Launch Complex-41 (SLC-41) at the Cape Canaveral Air Force Station (CCAFS), Florida as part of the Air Force Space Command 11 (AFSPC-11) mission. 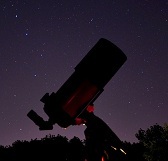 The mission will carry the Continuous Broadcast Augmenting SATCOM (CBAS) and the ESPA Augmented Geostationary Laboratory Experiment (EAGLE) into geostationary orbits. 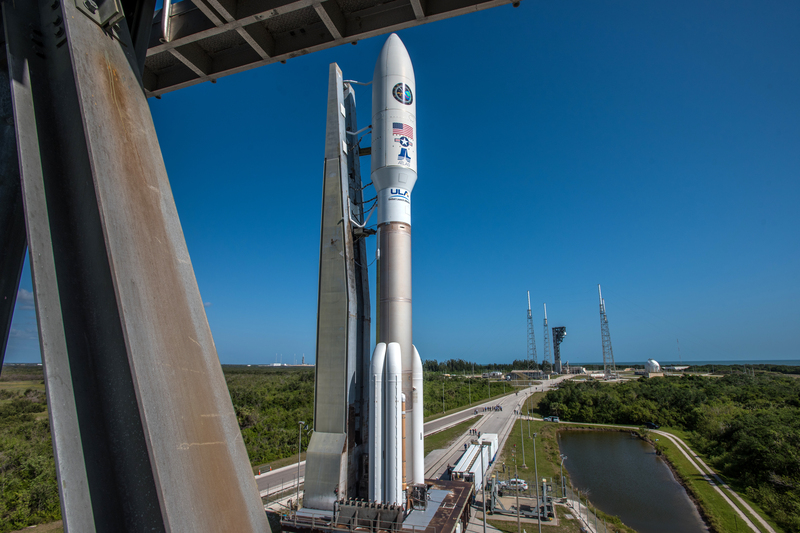 This will be the ULA’s 4th launch of 2018, 127th launch since its founding in 2006, the 77th launch of the Atlas V since its inaugural flight in 2002 and the 8th launch of the Atlas V in its 551 configuration. Launch Sites: Space Launch Complex 41 (SLC-41) at Cape Canaveral AFS, FL and Space Launch Complex 3E (SLC-3E) at Vandenberg AFB, CA. 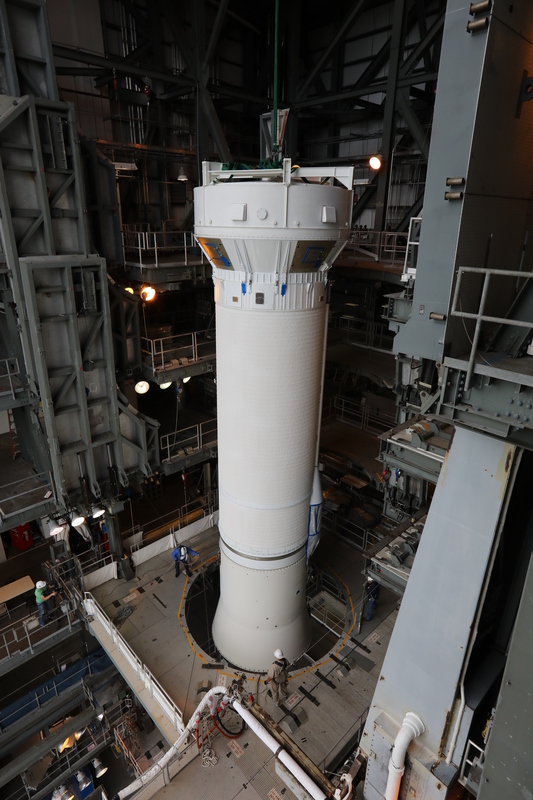 Main Payload Fairing (PLF): The Main Payload Fairing for the Atlas-V-500 series is a two-shell fairing that can come in three configurations. All 5 m (17.8 ft.) in diameter but there’s a 68 ft. (20.7 m) “short”, a 77 ft. (23.5 m) “medium” and an 87 ft. (26.5 m) “long” option for the fairing based on the payload. The fairings are used to protect the spacecraft & Centaur during its ascent through atmospheric turbulence and into space. Once the rocket has reached a safe altitude the fairings are pyrotechnically jettisoned via a debris-free actuating system. Fuel: Liquid Hydrogen (LH2). More expensive, less powerful by volume, and much less stable than Rocket Propellant 1 (RP-1) but provides a higher specific impulse. Attitude Control: There are also four 27-N (Newton) thrusters and eight 40-N (Newton) thrusters used for attitude control. 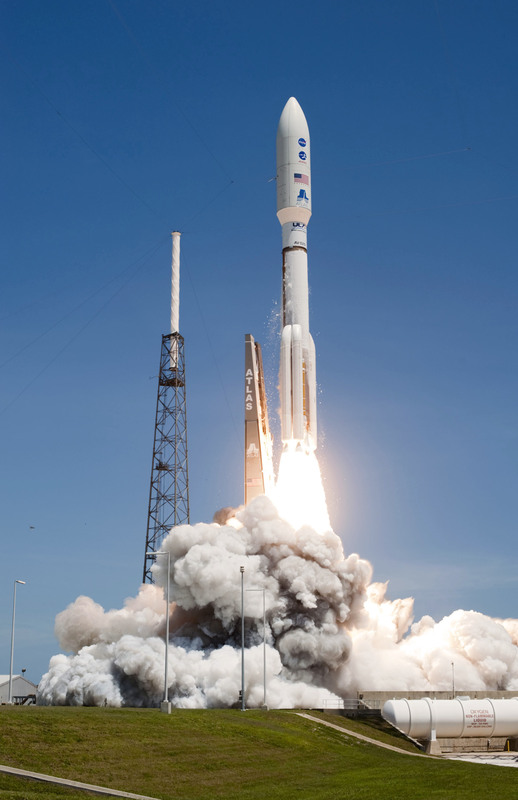 Both utilize hydrazine as propellant. The Centaur Forward Adapter (CFA) provides structural mountings for vehicle electronics within the spacecraft. 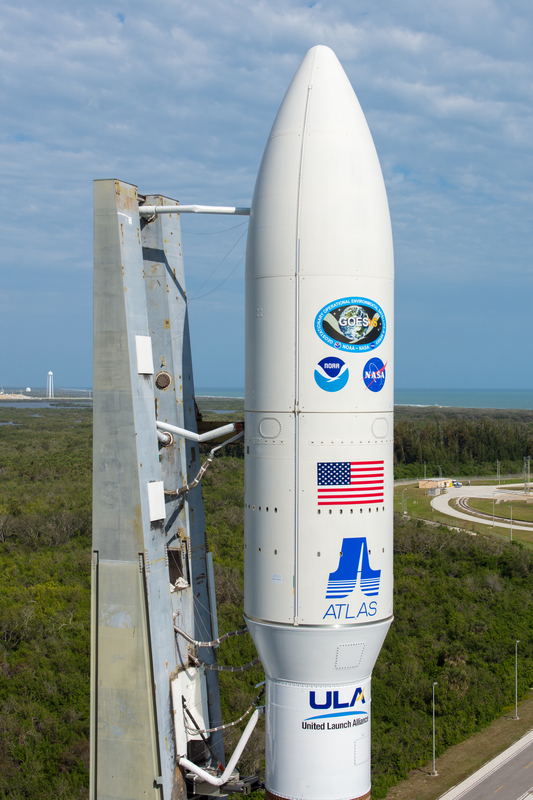 Image | This entry was posted in Images, Launches, News, Spaceflight Companies & Vehicles and tagged AFSPC-11, AFSPC11, Air Force, Atlas V, Atlas V-551, AV-078, AV078, Caps Canaveral, CBAS, FL, Florida, Tory Bruno, ULA, United Launch Alliance. Bookmark the permalink.